This is to inform all the candidates that applied for admission into the postgraduate programmes of the Federal University of Petroleum Resources, Effurun (FUPRE), Delta State, for the 2018/2019 academic session that they can now check their admission status online. Go to FUPRE postgraduate admission portal at https://fupre.edu.ng/pg/candidate/. Supply your Registration Number and Password in the required columns. Finally, click on login to access your admission status and also accept your admission. Successfully admitted? if yes, please note that clearance begins immediately at School of postgraduate Studies. 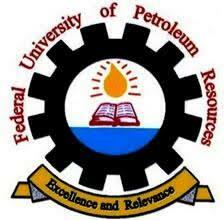 Congratulations to all the candidates that made it to Federal University of Petroleum Resources Effurun (FUPRE) postgraduate first batch admission list for the 2018/2019 academic session.